Two articles from The Miller in 1908, one looking at the technology used in Longstock Mill in Stockbridge, and the other discussing roller machinery at Napper's Mill in Sutton. 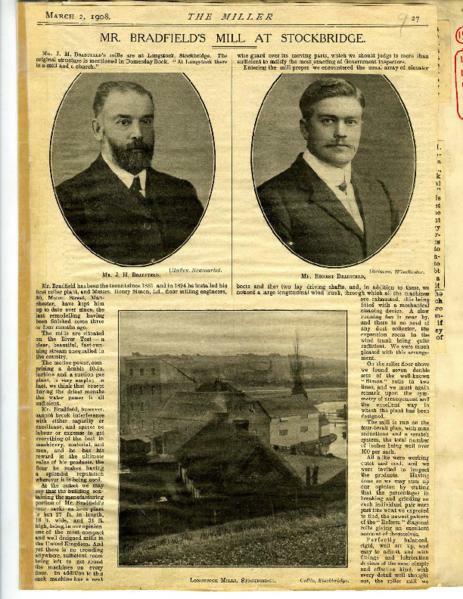 There are 3 cuttings from 1890 discussing the creation of an insurers specifically for mill fires. The final cutting is from 1890, the Financial Times, describing a change in fraud laws.